Wildwood Market provides fresh, local, and seasonal produce, dairy, meat, cheese, and dry goods for the Indianapolis community. Every day, they take those fresh ingredients and create a sandwich and a salad. These sandwiches and salads are never the same. They advertise their daily creations on their social media. 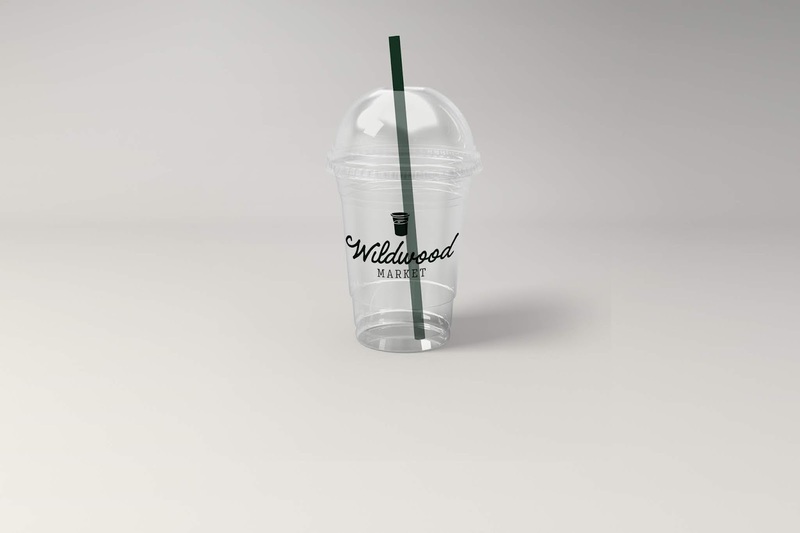 I researched Wildwood Market by visiting the store, reading their blog online, looking through their website, and looking at through their social media. 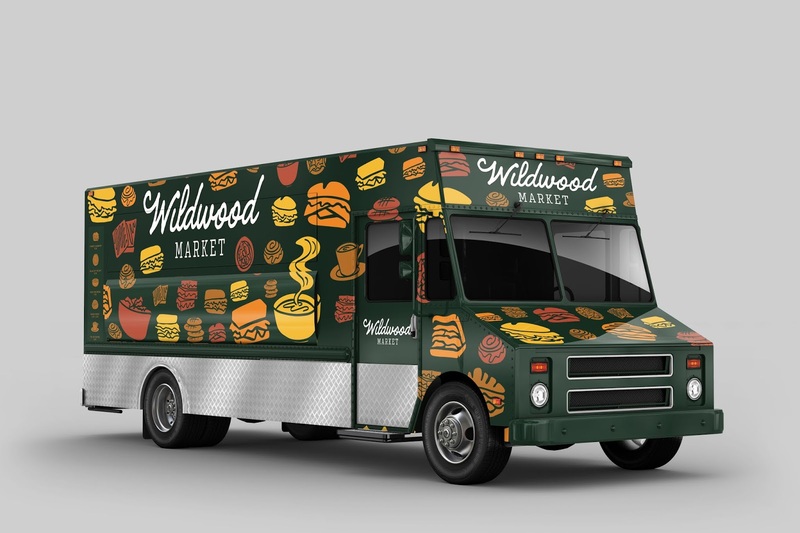 Wildwood is perfect for a food truck because their portions are easy to hold and transport and their menu is small. When working on the identity for Wildwood Market, I knew I wanted to create a dynamic identity. The idea of a dynamic identity works perfectly for Wildwood Market because their sandwiches, salads, and the products they carry are always changing. Their current identity features “Wildwood Market” in a script typeface and an illustrated tree. When recreating their identity, I chose a script typeface for “Wildwood” to help maintain brand recognition. I illustrated twenty icons based on the pictures they had posted on their Instagram. These icons interchange within their identity to show how their sandwiches and salads change every day. The food truck is wrapped in a pattern made from the icons from the identity. It features colors that stand out against the forest green of the truck. The variety of icons show what is available on the truck and draws in the customer. I wanted to create a design that is bright and eye-catching so that the truck will be recognizable on the road, but also different from other food trucks. Their name is featured many times to make it clear what company the truck is for. 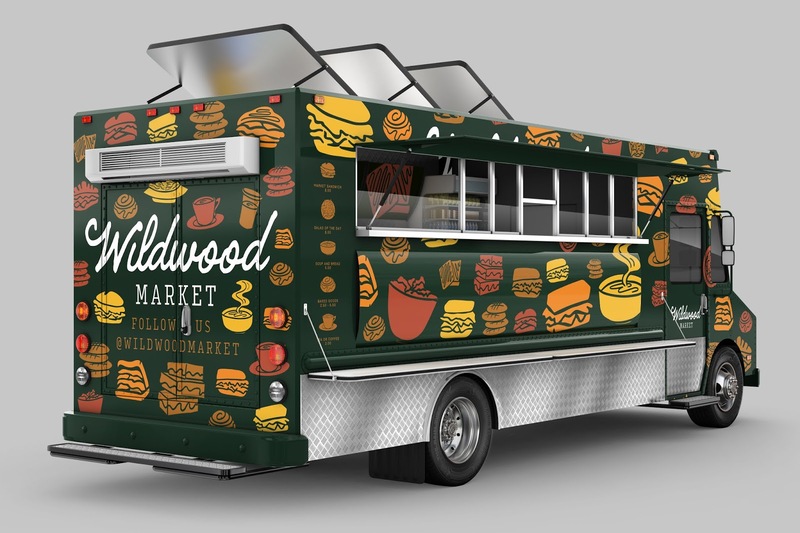 When designing the packaging for Wildwood Market, I wanted to incorporate the dynamic identity and the pattern wrapping the food truck. 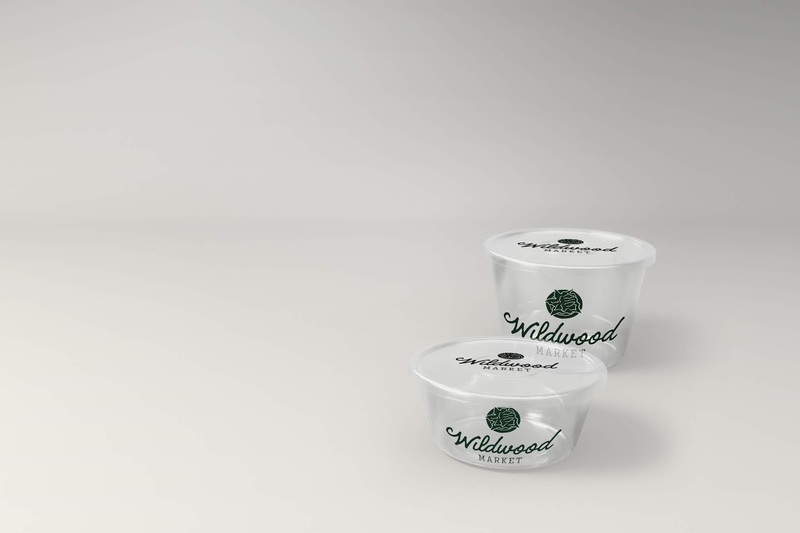 I developed packaging for hot drinks, sandwiches, cold drinks, and salads. 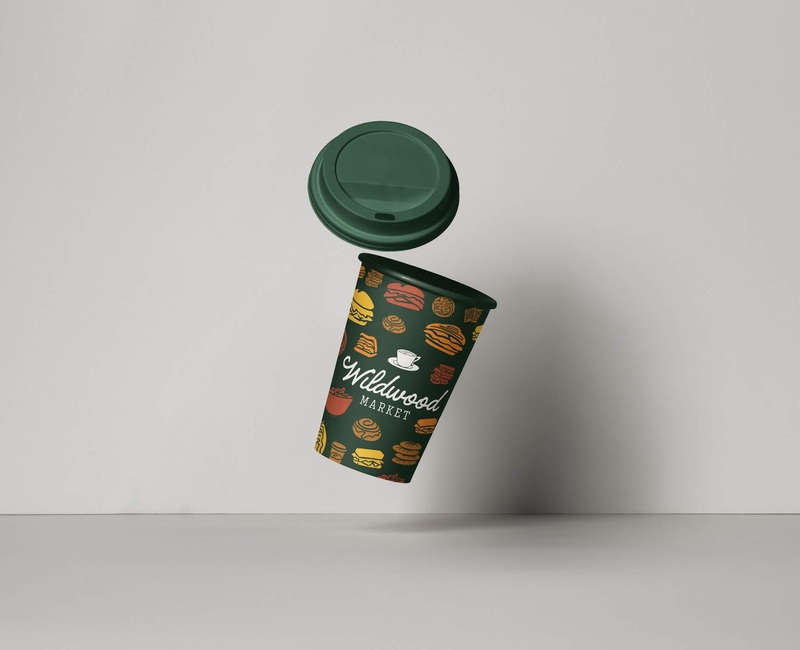 The packaging for hot drinks and sandwiches are made from cardboard to keep the product warm. The packaging for the cold drinks and salads are made from plastic. The logo for Wildwood changes for each of the packages. For the sandwich packaging, it features a sandwich and for the salad, it features a salad. This continues onto the drinks. 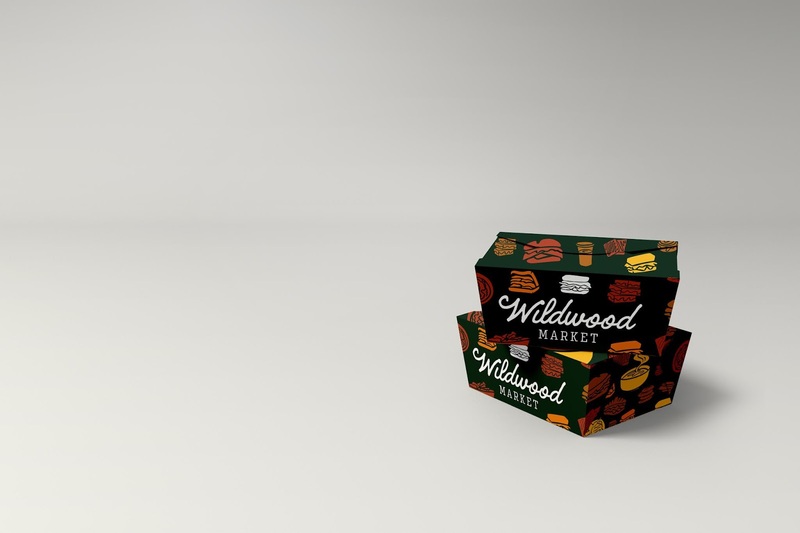 The dynamic, changing identity for Wildwood Market makes it interesting for the customer and allows them to see something new whenever they order something new.